If rumours are to be believed, robo-crooning rapper Future is no longer engaged to Ciara, despite the pair recently birthing a baby named Future. While we may not learn what happened there, we can get a glimpse into Future's recording career with a newly released documentary. 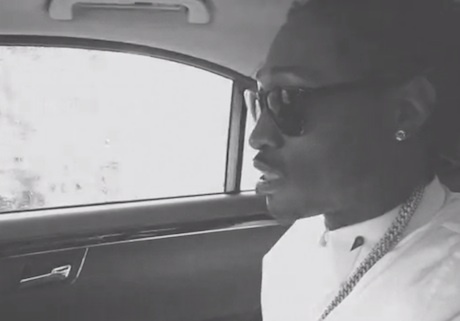 Called I'm Just Being Honest, the documentary offers a look into the recording of Future's recent Honest LP. It's 19 minutes long, and features cameos from Pharrell, DJ Khaled, Ludacris, Mike Will Made It and others. Watch I'm Just Being Honest below.